…but he got the error message “This does not apply to the free version (A test system was already installed in your free folder)“. Sorry about that Todd. That menu is only used in our paid (commercial) version. 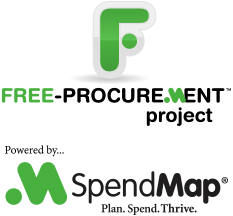 We use a different approach to manage Testing Systems in the free version of SpendMap. To refresh the data in your Test System, just run that shortcut and you will be prompted for the location where your Live System is installed, so that it can be copied. If you’re not sure, just log into your Live System, select the menu Help > System Information, and see #8 “Shared File Location”. Reminder: Use of the Test System is not always necessary. You can also do testing in your Evaluation System, which is preloaded with sample data and the most popular settings. That said, if you want to test something that might be affected by the settings or data in your Live System, then that’s what the Test System is there for.